← Today is the First Day of Summer! 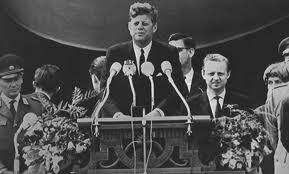 To keep the urban myth alive and to commemorate the 50th Anniversary of John F Kennedy’s famous speech in Berlin we will be selling doughnuts this wednesday! Come by for a glazed, cruller or Berliner!